Looking for dessert sauce recipes? Allrecipes has more than 150 trusted dessert sauce recipes complete with ratings, reviews and serving tips. This hot chocolate sauce is made with unsweetened chocolate, sugar, salt, butter, cream and vanilla. Rich caramel sauce, sprinkled with just a little sea salt, is the perfect topping for ice cream and other desserts. This classic dessert sauce can be served with chocolate souffles and cheesecakes, over ice cream, alongside bread puddings—or even stirred into plain yogurt. Awesome restaurant-style strawberry topping. Serve cold over cheesecake or ice cream. This is a really easy sauce to serve over ice cream, cheesecake, or perhaps even pancakes. Serve it warm over vanilla ice cream or chill it, and serve over plain cheesecake. 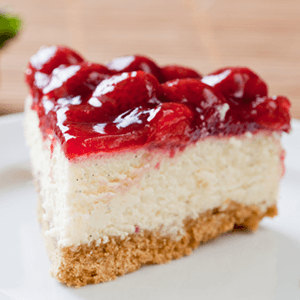 This fresh strawberry sauce is enhanced with a splash of balsamic vinegar; perfect for drizzling over cheesecake. This is a tasty lemon and honey sauce that can be served with cakes and other desserts. Pineapple juice may be used in place of the orange. Whipped cream is folded into this cold zabaglione, adding further lightness. How to make basic whipped cream. For best results make sure whisk and bowl are ice cold. Delicious, warm blueberry sauce which is fabulous on pancakes, waffles, cheesecake or ice cream! Fresh or frozen blueberries work equally well. Decadent thick and delicious hot fudge sauce. Simple to make and so much better than store-bought! Make your own chocolate syrup with this quick and simple recipe. A caramel cream cheese dip for apples or whatever! Just cocoa, sugar, water and vanilla in this quick chocolate sauce. When my grandchildren spend the night the first thing they ask for is chocolate gravy for breakfast. It's delicious served over buttered toast with bacon at the side. Turning the flavors of cannoli into a dip is about the best idea you'll have today, so get some ricotta cheese and some chocolate chips and get to work! Oh yes, you can have chocolate for breakfast! Excellent served on top of hot flaky biscuits or homemade drop biscuits. This basic caramel sauce uses homemade caramel and rich cream. "This cream holds up longer on pies because it doesn't separate. Gelatin stiffens whipped cream and makes the texture seem fuller and slightly spongy. May be used to top a pie or frost a cake." Apples simmered with sugar and cinnamon.. makes a great sundae topping over vanilla ice cream, or as a pancake topping! Adjust cinnamon and sugar to taste.